There are plenty of people who do not get good nights of sleep on a consistent basis. Your body may be able to handle it for a while, but not sleeping well can affect your quality of life over the long run. You can always use pills to help put you to sleep. The better way to approach it is by training your body to sleep and wake up at the right time. That’s what sleep aid apps are good for. Sleep Cycle Alarm Clock: a well known iPhone application that analyzes your sleep patterns and wakes you in the lightest sleep phase. It monitors your movement and finds the best time to wake you up. Proactive Sleep Alarm Clock: an alarm clock on steroids. 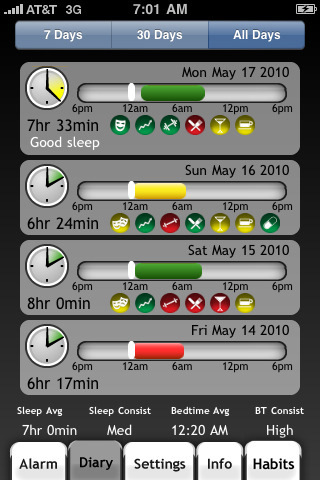 It helps you track sleep amount, time of sleep, difficulty falling to sleep, and sleep efficiency. 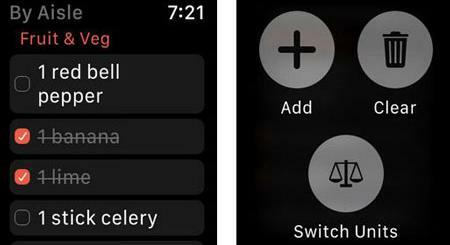 It gives you personalized tips about your sleep. 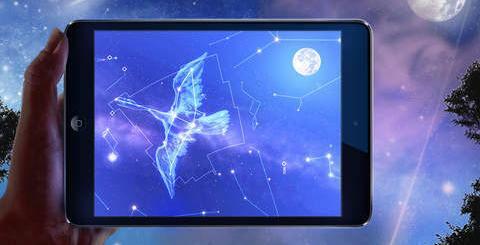 Sleep Machine: it’s essentially a 4 in 1 app. It’s an alarm, a clock, a sleep timer, and an ambient sound player. 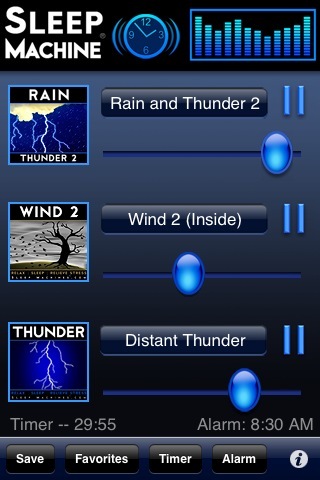 Has plenty of ambient sounds that can relax you and put you to sleep. 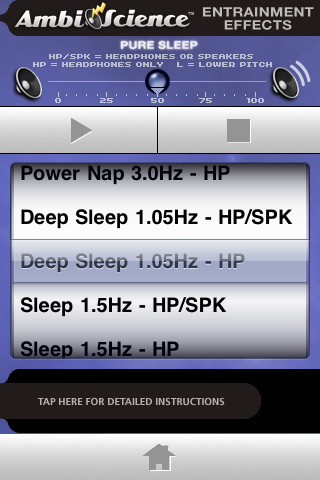 aSleep 3 for iPhone: another super sleep application for iPhone. 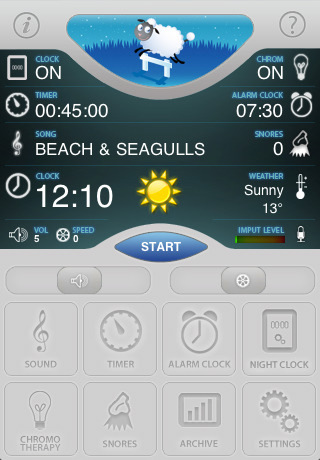 Can be used as a timer, an alarm clock, and a night clock. It has plenty of fun sounds to relax you. It can kill your snores too. Watching chromotherapy can help put you to sleep too. Pure Sleep Premium: has plenty of ambient sounds that you can take advantage of to reduce your stress and put yourself to sleep (without any medication). It can be used as an alarm clock too. 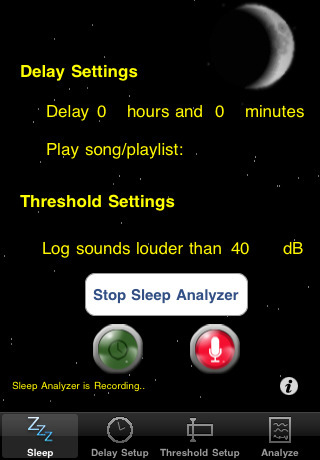 Sleep Analyzer: keeps track of your sleep noises during the night and helps you find out why you are not getting proper sleep each night. 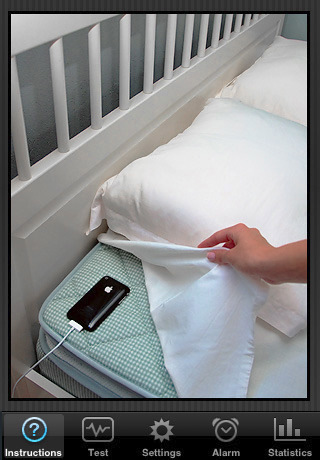 Just put your iPhone next to your bed and set a decibel threshold. 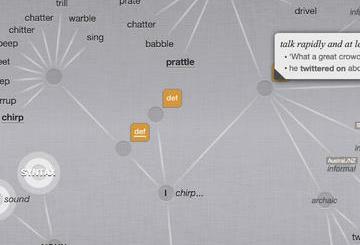 The app only records sounds that exceed that threshold and shows you your disruptions the very next day.